What an amazing Stampede we had! In the next few weeks, we will be sharing some more project ideas from the Design Team with Stamp Highlights and Designer Series, so remember to come back to check them out! Today we are starting with the Me And My Yeti set! We really love how BIG he is compared to his little friends! 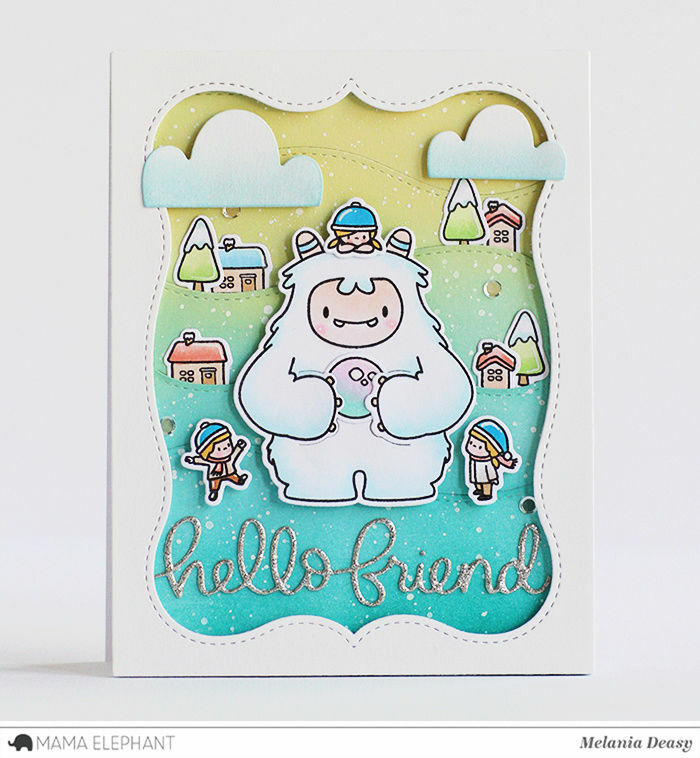 The Snow Capped Mountains Dies are the perfect scene builder for the Me and My Yeti Stamps and Dies. 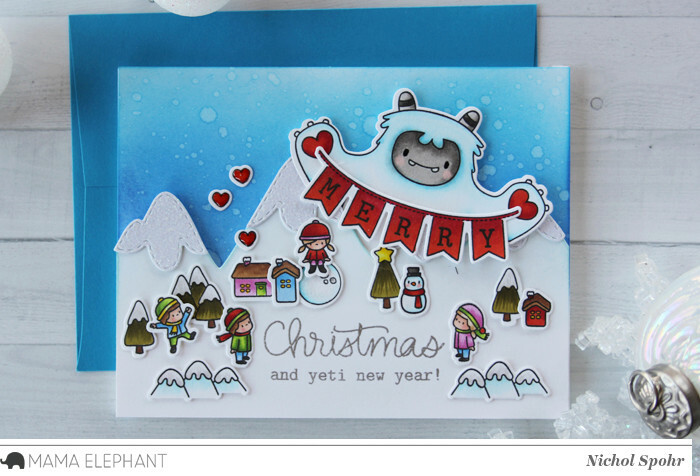 The adorable Yeti is peeking over the mountain range at the village below holding his merry banner! 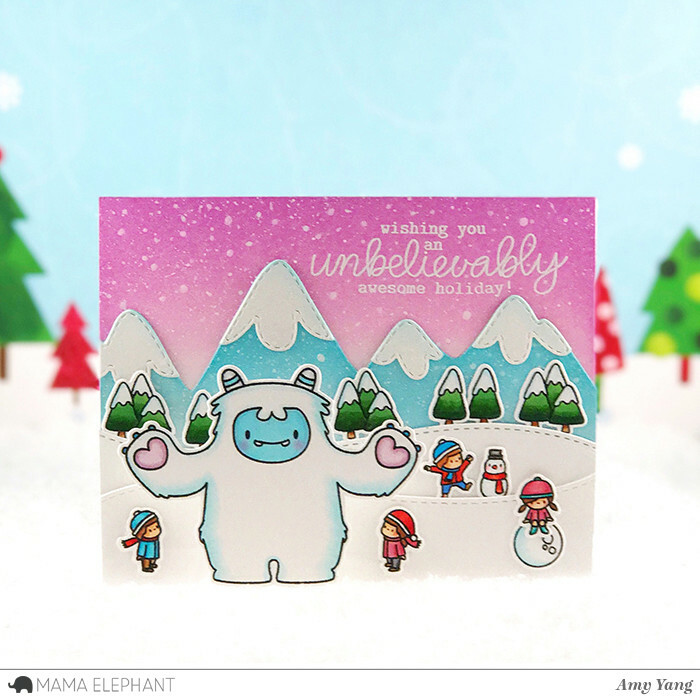 The kids in Amy's card is sure having tons of fun with their Yeti! 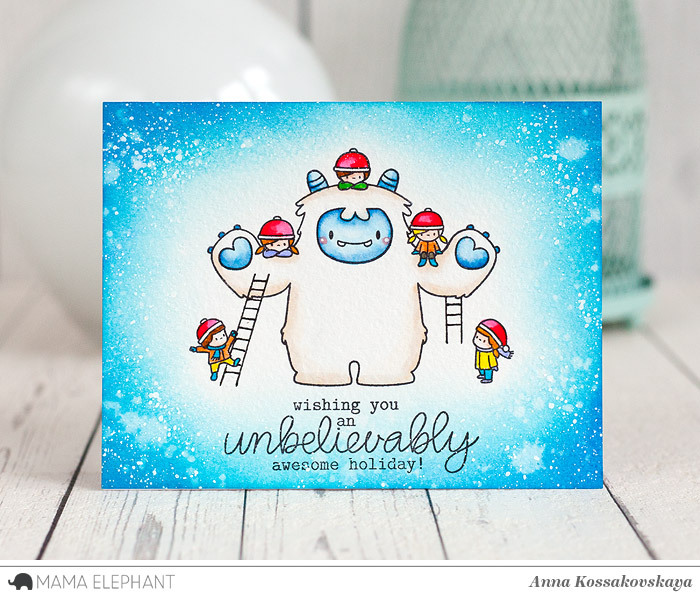 We are amazed by Anna's one-layered card! Masking worked well here and the scene looks so funny! An adorable Yeti couple from Vera! Love how she used the rainbow color on the yeti's horn! Wow! We love the offset pentagon background! And how cute are the little kids on Mr. Yeti! 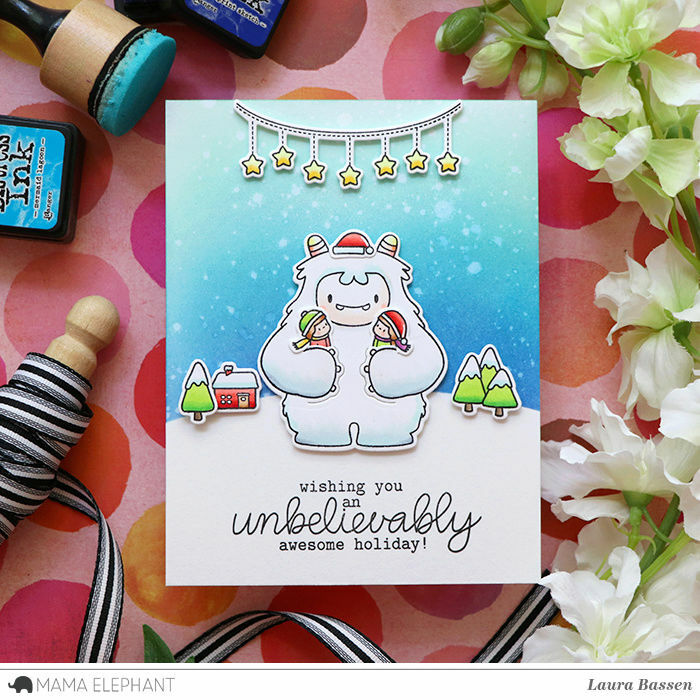 We all wish we can have a personal Yeti friend shown in Laura's cute card! 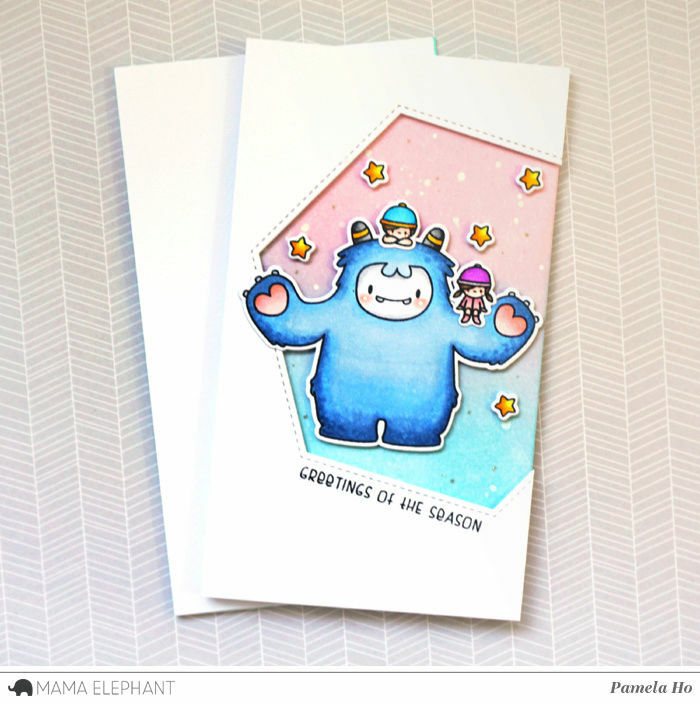 We totally adore Deasy's winter card scene, they look so adorable together! I can't wait to use that yeti set! Sweet cards! The Yeti is so adorable! This set is just so cute and the inspiration is amazing! The Yeti stamp is so fun! could be so cute and cuddly. This set is sure to sell out!! Great job on the entire release, and HAPPY Birthday!!! You're so talented, you leave me speechless !! Wow all of these cards are adorable, I love this set it is the cutest one this month for me. These are ADORABLE!!! I'm so in love with this Yeti set!! Doesn't matter what post you look at, all of the cards made by the design team are GREAT! All the cards are so adorable! Fabulous! Cute! I love the colors they use for the cards! Adorable yeti!